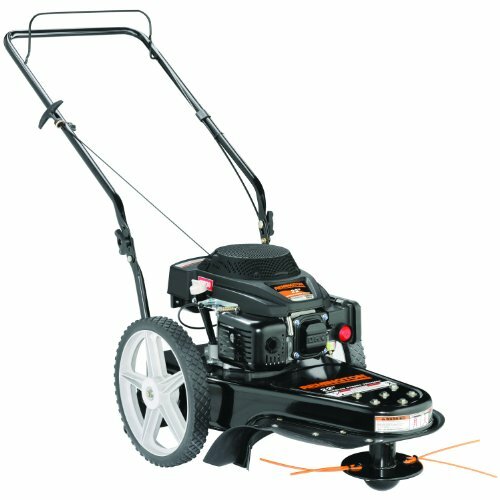 Troy-Bilt can help you comfortably accomplish your lawn mowing jobs this season. 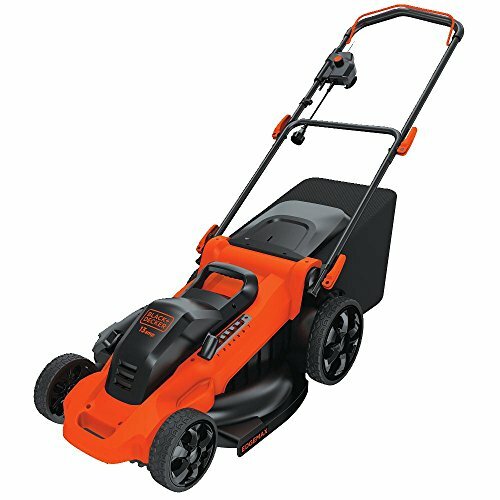 The TB120 Push Mower is powered by an easy-starting 159cc OHV engine that fires up with an EZ Start choke system. The TB120’s 3-in-1 convertible mulching and cutting deck is built to last providing 3 options for you to select your desired cut for either mulching, bagging, or using side discharge with an included standard 1.9-bushel grass catcher. 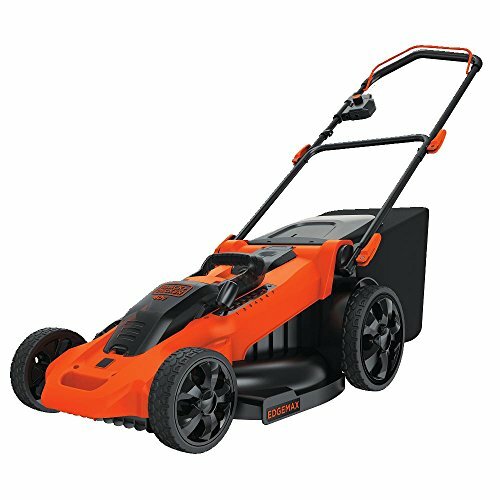 This specific model comes equipped with a TriAction cutting system that works for a clean and even cut every time. 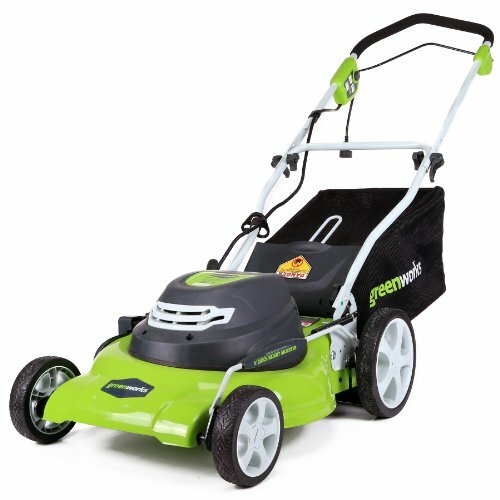 Equipped with 7-inch front and 11-inch rear wheels that are suitable on all types of terrain and a dual-lever deck height adjustment that allows for six different grass height settings, from 1.25 – 3.75-inches, meeting all your length requirements. 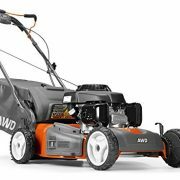 The 1-quart fuel tank and standard 1.9 bushel capacity grass bag mean it’s unlikely you’ll have to waste time filling up or emptying the TB120 mid-mow. 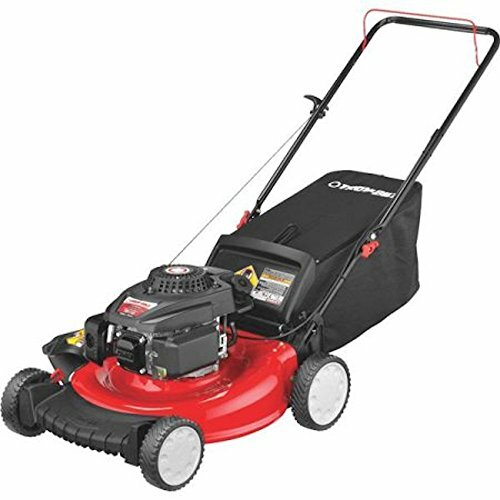 Troy-Bilt’s TB120 is backed by a 2-year limited warranty.